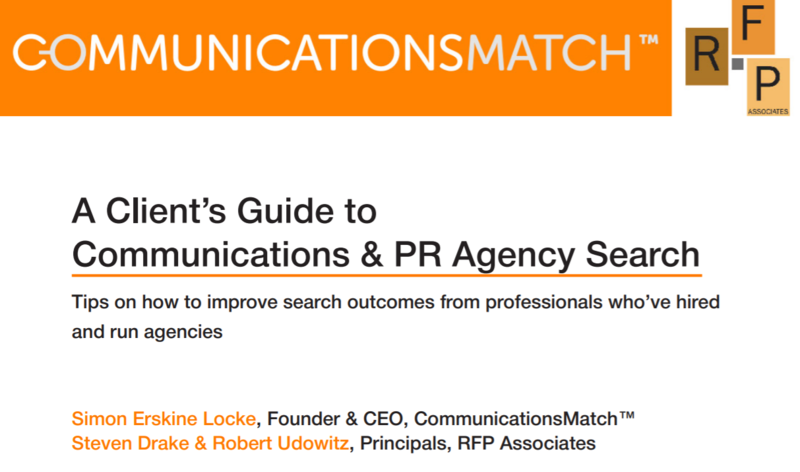 Locke developed and launched CommunicationsMatch, an agency search and engagement platform with 5,000 listed firms and professionals in 12 countries, to connect companies with agencies that match their needs. A founder of communications agencies and startups, he previously headed U.S. Businesses Communications at Prudential Financial, was Head of Corporate Communications for Morgan Stanley Japan, and ran Asia Pacific Communications at Deutsche Bank. Steve Drake’s 30+ year career includes executive communications positions with corporations and global public relations firms, including Fleishman-Hillard, for which he launched and managed the firm’s offices in Beijing and Shanghai, China. Before launching RFP Associates, he ran his own corporate communications consultancy, Steven Drake Associates, LLC, which offered services designed to help clients effectively communicate with audiences and achieve their organizational objectives. During the course of that work, he found that many of his clients would seek his help in identifying, evaluating and hiring PR agencies both for short-term assignments as well as ongoing retainer work. Over the course of his career in public relations and public affairs, Robert Udowitz has worked at large and multinational agencies, corporations and trade associations. He began his career in New York City at one of the largest private agencies and continued to Washington, DC, where he began working in crisis and public affairs for governments and global corporations. The genesis of RFP Associates began after pitching new business at Fleishman-HIllard’s Washington office and then conducting an agency search for a publicly traded government contractor - as its Director of Corporate Communications. By observing the search process from “both sides of the aisle,” he recognized the need to streamline and improve the methodology by which agencies are chosen and communications campaigns are executed using an honest, unbiased perspective. Hiring a communications or PR agency is one of the most consequential decisions a company will make. It’s not just about money. It’s important because you are handing over some or all responsibility for a company’s most valuable asset – its brand and reputation – to a third party. The stakes are high at any point. They are even higher during a crisis situation. So getting the decision right is critical. In CommunicationsMatch’s 2017 PR & Communications Agency Search Report, three-quarters of respondents said they ask their peers for recommendations when it comes to finding agencies. Twenty percent or fewer cited Google, LinkedIn, trade associations, or trade media as resources for agency search. That’s a lot of people asking others they know and trust for recommendations. As we will outline in this guide, intuitively this makes sense, but in practice it’s not enough. It’s worth taking a moment to think back not so many years ago when we had little choice but to rely on friends and acquaintances to find future life partners. With the internet and online dating services, technology has given us far broader access to people with the qualities we are seeking. When hiring a PR agency or consultant – truly, a corporate marriage – we highlight the benefits of using a search process that goes beyond asking the people you know to help find communications agencies and professionals that are the best fit for your company’s specific needs. Starting a search from a shortlist of half a dozen recommended agencies rather than looking at the potential pool of candidate firms may well seem like the most efficient approach to search. But as with online dating services, CommunicationsMatch provides the ability to search through thousands of potential partners quickly and efficiently to find agencies by industry and communications expertise, location, size and other search criteria important to you and your organization. 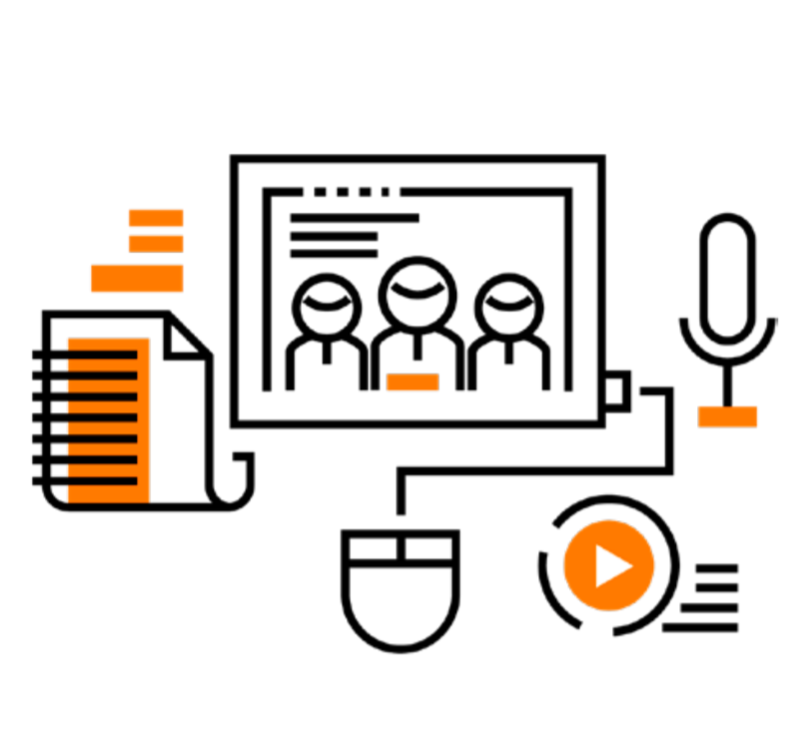 By following the process we outline in this Guide – using our RFQ and RFP tools and other search resources – you will be able to more efficiently find and hire agencies best positioned to deliver desired communications outcomes tailored to your project and to your company’s longer term communications needs. 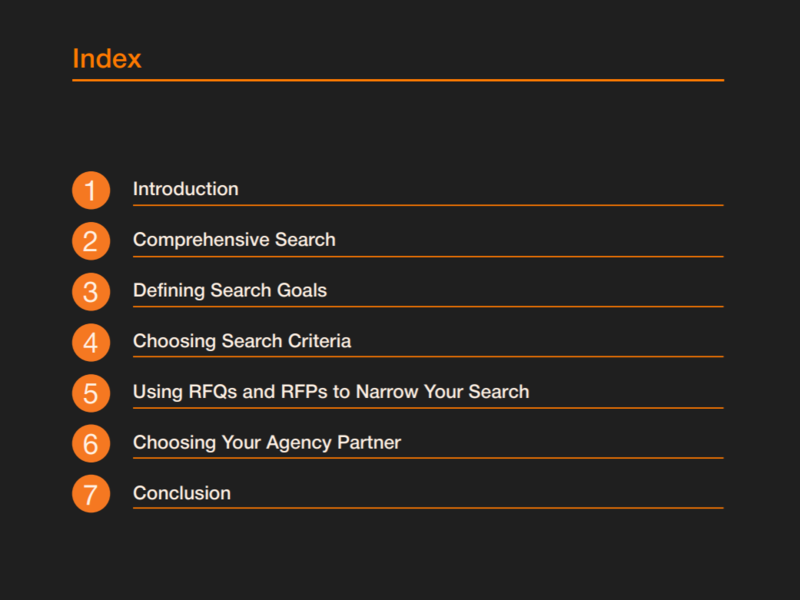 This guide, along with our agency search videos, research and articles in CommunicationsMatch’s Agency Search Resource Center, seeks to provide valuable insights, information and practical steps that can be used to make the agency search and engagement process as efficient and focused as possible. Most important of all, by helping companies find the agencies and professionals best-suited for them, they will be positioned to execute high impact communications programs that achieve award-winning results. 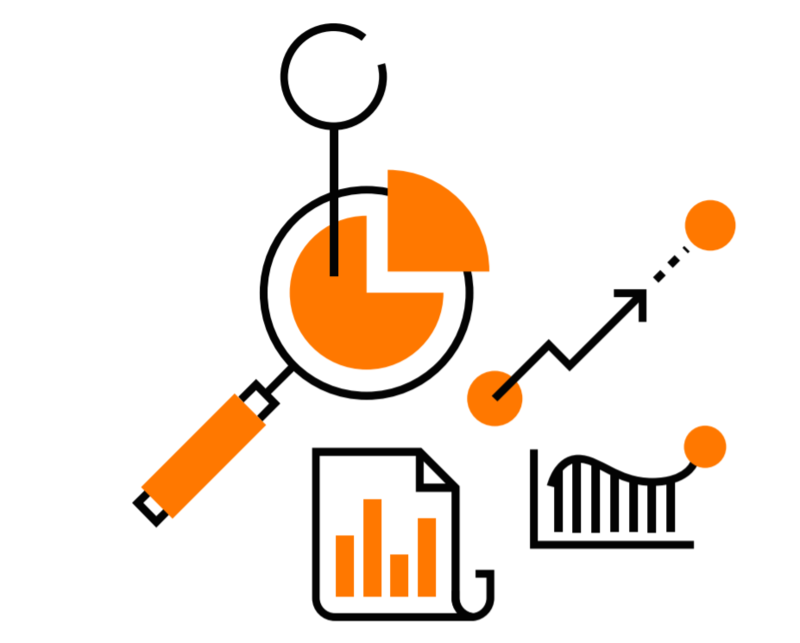 Key Takeaway: Search tools and consulting services provide companies the opportunity to go beyond who they or their peers know to find agencies with specific capabilities that match their needs. There are thousands of PR, communications and digital agencies with exceptionally talented people. Of these, many may well have the combination of industry and communications expertise that can be a perfect match for your company. Yet chances are, in your last agency search, you did what most companies do: You asked your peers for agency recommendations to develop a shortlist of agencies to contact. Word of mouth is a simple and powerful way to find service providers, people and products across industries. And, because the recommendations are from people we know and trust, they carry significant weight in our minds. In the CommunicationsMatch 2017 Agency Search Report, asking peers was cited by 76% of respondents as a primary resource for finding agencies. Other resources – Google, LinkedIn, trade associations and trade media – were cited 20% or less of the time. Even though word of mouth was not the only tool used by companies, recognizing its limitations is important. By definition, word of mouth limits the scope of a search to agencies known by peers. If this were the only way a company identifies agencies, it will be excluding highly qualified agencies and consultants with capabilities that may potentially be an ideal match for its specific needs. As former heads of communications we have been asked on multiple occasions for agency recommendations (in fact, this may be the most common question in the industry). We could always run off a list of firms we’d heard about or knew of through reputation. These would include brand names we’d know of, but may not have worked with directly. Were our recommendations useful? Probably, in that they helped colleagues identify agencies with which they may not have been familiar. But were they comprehensive or based on actual experience? In all likelihood, probably not. More often than not, since the people we know as communicators tend to look like us, absent from a list generated through peers may well be diverse agencies. When it comes to finding diverse agencies there’s another issue that comes into play. Minority-owned firms may not be recommended simply because an assumption is made that if the company isn’t looking to reach multicultural audiences, diversity isn’t a priority. Now we’ve pointed out the issues. What are the solutions? We believe it is necessary from the outset to take a comprehensive approach to agency search – one that as far as possible helps companies identify across the communications industry those agencies or professionals that will best match their needs. A more comprehensive search process offers a number of advantages – most important of which is better search outcomes. It also helps reduce the nagging feeling that maybe the “grass might be greener” with an agency that wasn’t in the mix. Agencies with the best fit may come from unlikely places. The maxim “never judge a book by its cover” is worth keeping in mind. Being open-minded when it comes to search criteria, people and experience is valuable if you are to find the best fit and capabilities for your needs. This is particularly applicable to diverse and minority-owned agencies. In the same way online dating tools changed the way we find our life partners, using a search tool or a search consulting service provides companies with a window on resources that are available as a starting point for finding the most qualified agency partners. The bottom line: Word of mouth is one source of agency candidates, but it’s important to recognize its limits and initially cast a wider net. Key Takeaway: Starting an agency search with a goal in mind and sticking to it is the key to success. It’s also essential to have an approved budget. For every search it’s important to start with the end in mind. Is a successful search about hiring an agency? No. We believe a successful search is about finding the best agency to meet a company’s specific needs as measured by its work over several years or, at a minimum, for the duration of a project. Engaging an agency, as Churchill put it is, “Not the beginning of the end, but the end of the beginning.” It’s important to have this perspective in mind because the search process is really about moving your company’s brand forward, not simply hiring an agency. The best way to translate this idea into a guide for the search process is to draft a measures-of-success document. This document should go as far as possible to include measurable goals for your organization and the agency you are looking to engage. Examples may be to double the volume of media coverage or website traffic generated, social media engagement or marketing leads over a specific period of time. These measures of success are the North Star of the search process and the starting point for determining search criteria most important to agency selection. They need to be achievable and measurable, and include timelines for goals and budgets. They should also outline what your company will deliver. They need to be agreed upon and regularly updated by both the client and the agency. Many relationships go south because expectations are not aligned from the beginning. Agencies and companies may be tempted to promise each other the world, but when the rubber hits the road, both sides may fail to deliver – and consequently expected results aren’t realized. Having said all this, there’s one more key issue that needs to be nailed down before launching a search. Budget. Do not start a search without an agreed-upon budget. The amount of work and effort required for both companies and agencies in the search process is significant. Finding out half-way through a search that the funds aren’t there to pay for an agency undermines your credibility. And it’s a waste of time for all involved. Key Takeaway: Determine what capabilities are most important to you before you begin to identify agencies themselves. Every agency and communications professional has different areas of industry experience. Industry expertise matters on a number of levels. A communications professional who has worked in finance is, for example, most likely to understand the nuances of the industry and its regulatory context. We need to recognize in the search process that some agencies and consultants may well say they have experience in a specific sector, however cursory. Understanding the depth of experience of the person or team who will work on your account needs to be determined. A well-managed agency selection process provides the opportunity to evaluate this. Industry knowledge is also valuable when it comes to engaging with the media. A PR professional with extensive knowledge of and experience in a specific industry will likely have strong relationships with reporters who cover it, making it easier to convey desired messages. At the same time, there may well be trade-offs to consider. Sometimes a fresh perspective brought to an industry can create new ideas and opportunities. For certain skillsets - SEO, social media and email marketing campaigns - industry specific knowledge is less of a priority. CommunicationsMatch lists 80 areas of communications expertise. This reflects the diversity of skillsets required for a digital communications world. For the search process, companies should consider which of these they require of the selected agency to achieve their goals. Although large agencies are able to bring a deep bench of professionals, and smaller agencies or consultants may well have expertise in a range of areas, few can truly do it all. When choosing agencies it is important to determine the depth of experience required in each area. This will be determined by the capabilities a company may already have at its disposal and the nature of the project. A large company, for example, may have a dedicated social media team, making this less of a priority. The location of the firm you plan to work with will matter and is something that needs to be considered in the selection process. For a company looking to launch a new business in Tokyo, for example, it will need an agency in Japan or one with a partner relationship. To generate coverage in technology trades, it may be an advantage to find firms in East or West Coast tech corridors with wellestablished relationships with reporters in their region. And, lastly, it is important to think about meeting logistics. A lot can be done with Skype, Zoom or other video conferencing services, but nothing beats in-person meetings. The more significant the travel, the greater the cost. Another key search criterion is the size of an agency and/or whether working with a consultant or freelancer would be a better path. Agency size is an indirect and approximate metric for likely cost – although it’s not linear. And, it’s definitely not a measure for expected return on investment. Large, medium and smaller agencies, consultants and freelancers, can be looked at as tools for different types of projects and needs. Each has its benefits. Larger agencies (100+ employees) have the advantage of scale and of being well-known brands, at least within the communications industry. They offer a full range of services and many have multiple U.S. and international offices. These firms have a number of specialized practice areas. Senior professionals are likely to have deep industry experience. More often than not, larger firms will require minimum project budgets or retainer fees. Midsized agencies (20-100 employees) offer many of the benefits of larger firms, but with fewer practice areas and offices. In general, they will require higher minimum retainer or project fees than smaller firms. Boutiques (2-20) tend to be focused around key areas of expertise. Although they may not have the resources of larger firms, the principals of these firms are more likely to be directly engaged on client projects. Depending upon the firm, retainers and project fees are likely to accommodate budgets of SMEs and startups. Many SEO, digital or content marketing and website development firms are boutiques, delivering specialized capabilities to large and small companies. Individual consultants or freelancers constitute a valuable option for client organizations when a specific skillset is required. They range significantly in experience and skillsets, so it’s critical to look at their background, current clients and track record to determine if they can meet your company’s needs or those of a business unit. The idea that we are known by the company we keep goes back to Aesop. It continues to be as relevant today as it was 2,500 years ago. What clients an agency works with, and perhaps more important, how long they have worked with them, are valuable benchmarks for evaluating agencies. In the agency search process past successes with similar clients is not always a guarantee of future results, but it is one important yardstick by which to evaluate firms. An additional search dimension worth considering is organization memberships and individual designations. PR and communications industry associations offer a number of designations that require members to meet certain minimum professional standards. A membership organization search is one way to find organizations around certain criteria. 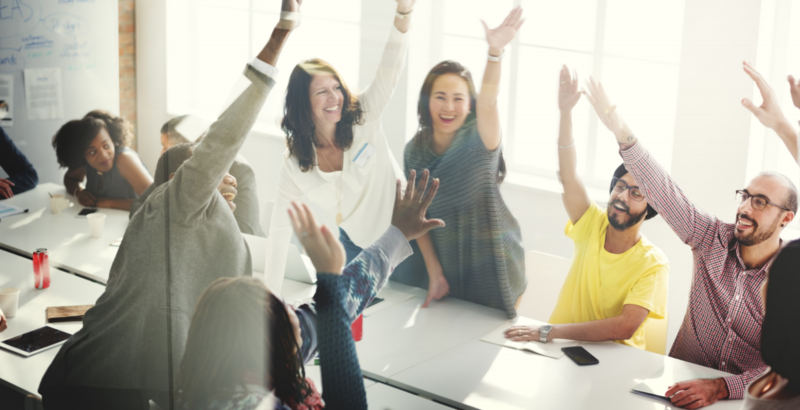 The PRSA, PR Council, PR Consultants Group, and International Association of Business Communicators (IABC) are just some of the agency membership groups. Many companies only think about engaging minority-owned firms solely for projects to reach diverse audiences. This is a mistake. At a time when business leaders increasingly recognize the value of the different perspectives diversity provides, we always recommend including diverse and women-owned firms in any search, whether it’s for B2C or B2B, and even B2G. Markets and clients are multicultural, so successful communication requires an awareness of and sensitivity to the range of audiences with which any company will be engaging. Key Takeaway: A request for qualifications (RFQ) allows you to efficiently check the credentials of a range of agency candidates and determine which are best-suited to receive a request for proposal (RFP). A well constructed RFP is the foundation of highly productive and successful client-agency relationships. Every project and every agency is different. What may work for one client may well not work for another. Finding firms that match needs should start with a broader high-level search, but choosing the agencies you want to interview will require information tailored to your business. You should be selective when reaching out to agencies to request more information. Simply put, it’s a waste of your time as well as that of the agency to ask for a proposal unless you really think an agency is a potential match for your needs. This is the principal reason why we recommend a request for qualifications, or RFQ, process before submitting more detailed RFPs. The goal of an RFQ is to narrow down the list of agencies that match search criteria into a shortlist of 6-10 agencies that will be asked to respond to your RFP. Making this process as effective and efficient as possible for both parties is essential. It is important to ask the right questions to get the information needed to refine the list of agency or consultant candidates for a subsequent RFP. RFQ questions need to be focused on an agency’s experience as it relates to the project, determine if there are conflicts that would prevent a firm from working on the project, and understand more about the people who would work on the account. For some projects, it may be important to conduct a confidential RFQ process to avoid tipping off competitors or giving away the nature of the assignment. For this reason, we offer users a technologydriven path for requesting RFQs anonymously along with a consulting-driven engagement process for larger and confidential assignments. Developing an RFQ may seem straightforward, but having a process that works for both sides requires a clear understanding and knowledge of what’s important in the search process. RFP Associates has spent close to a decade developing its unique search methodology and the questionnaires incorporated into CommunicationsMatch’s online RFQ/RFP process. From experience, we know that using these tools ultimately leads to better search outcomes. Once the responses to RFQs have been received, the company’s task is to review them in the context of the goals and priorities listed in your measures-of-success document. This will serve as a benchmark to select the firms that will receive your RFP. An RFP is, in essence, the final step in the selection of agencies that will get to present their capabilities and ideas to you. RFPs require extensive work, so, again, it is important to be focused and only issue RFPs to firms or consultants of real interest. As a rule of thumb, RFPs should be issued to between 6 to 10 companies depending upon the project. The RFP needs to provide agencies with information about the hiring company, the scope of work, intended budget, and detailed instructions on responding (proposal, presentation, etc.). A well-constructed RFP will enable you, through submitted proposals from candidate agencies, to understand in greater depth the way those agencies or consultants think about your project, and how they identify and present issues that may be relevant to your scope of work. In the selection process of finalists, it’s again useful to return to the measures-of-success document to guide the process. If a measure of success is leveraging media into social media channels, choosing a firm with demonstrated expertise in both areas will be important. If the goal is to drive SEO, then the priority will be different. And, if the project is focused on building a company’s reputation with a very specific group of influencers, again the selection process will need to weigh each company’s ability to meet these needs. One of the benefits of reviewing proposals generated through an RFP process is the ability to see ideas, capabilities and expertise without being influenced by personalities. The evaluation process can then be as neutral, open and balanced as possible. The personality and fit of each firm is hard to assess through an RFP, but that’s the real task of the final stage of the agency selection process: finalist presentations. Key Takeaway: Finalist presentations provide the opportunity to build consensus, and to find out more about the experience of and chemistry with the agencies and their staffs. Finalist presentations are the last step in a comprehensive search process. Setting them up can be hard work. On the client side you will want to bring in people from the business units the agency or consultant will work with. Setting aside some blocks of time for the process far in advance is usually the best way to bring together everyone who needs to be in the room. These presentations provide an opportunity to dig further into the agencies’ or consultants’ backgrounds, approaches and ideas. They also allow your evaluation team to question agencies on any shortcomings evident in their proposals (because no proposal, even one which produces a finalist, is perfect). It’s essential to meet the team you’ll be working with and see what the personality fit is like. What’s not useful: receiving the “song and dance” version of the proposal that landed the finalist agency in front of you in the first place. Returning to the idea that you shouldn’t judge a book by its cover, it’s necessary to ask questions that help you really understand what you’d be getting if you hire the candidate agency. In the interviews, be careful not to be overly swayed by style; rather, keep the focus on substance. As we all know, some people are great presenters and others aren’t. You are not judging presentation skills, you are evaluating the ability of a firm to get the job done. An agency’s track record, its expertise and experience, case studies and the ideas they have for your company are powerful predictors of successful outcomes. Chemistry is also important. You are looking for the entire package. Once the presentations have been completed, you’ll need to ask for the perspective of people who were in the room to generate consensus around the agency you ultimately decide to hire. A “scorecard” or grid, tied to the RFP and to your measures-of-success document, should be used by individuals to evaluate and compare firms, and as the basis for a post-presentations discussion to make the final hiring decision. The final selection process will involve looking across the metrics, including fit and costs, and from a quantitative and qualitative perspective, to decide which agency or consultant is most likely to succeed on your behalf – to achieve your goals. Once the decision is made, it’s time to go back to the other firms, thank them for their time and be willing to provide feedback. Key Takeaway: Getting your selected agency up to speed takes time and effort. It’s important to have an open dialog and surface issues as they arise, as well as be clear about budgets and payment. Onboarding an agency needs to be considered in the same way you would onboard an employee. It takes time and you need to recognize that it requires a lot of learning by both parties. The process needs to be managed as efficiently as possible. Having an agency develop a topline communication plan and providing input on an ongoing basis is one quick way to make progress. It is helpful to remember, as a client, that everything you have learned through years of engaging with your company has to be absorbed by an agency in a matter of weeks or months. Getting up to speed is not instant. Having an ongoing and open dialog between the client and agency during the onboarding process is essential. It takes two to tango, so work and patience is required on both sides. Understanding working styles and being crystal clear about expectations ensures the best path to success. Relationships can sour very quickly if issues are not raised and resolved quickly. When it comes to aligning expectations, there is nothing more important than money. Take the time to discuss budgets and billing processes. Onboarding takes as much time as is given to it. It’s a process that needs to be managed carefully if all the effort expended in the agency selection process is not to be wasted. Hiring communications agencies, whether for PR, content, government affairs or social media, is one of the most important and significant decisions a company will make. Your brand, arguably your most important asset, depends on getting these decisions right. For many, the decision to hire an agency starts with asking peers who they know. But as we have argued here, going to only those agencies your peers know is a shortcut. It takes you to a limited pool of people and agencies, who probably look a lot like you. The starting point for finding the best agencies should be a comprehensive search for firms that match key criteria including industry and communications expertise, location and size. The ability to find firms by organization and designation, client relationships and diverse ownership allows companies to focus on what’s important to them. Every search should start with a core “measures of success” document that serves as the North Star for the entire search process. And as a reminder, do not start without a budget having been allocated for the project or assignment. Having narrowed the number of agencies to a manageable selection of firms, moving from shortlist to hiring requires a thorough, open and well-structured RFQ and RFP process. Using CommunicationsMatch’s RFQ and RFP tools, or our Search Consulting Services, to refine shortlists down to a select group of 6 to 10 to receive your RFP is an efficient way to identify those agencies with the background and ideas to merit being included in the finalist presentations. Evaluating each firm against the measures-of-success document during the process is the most direct path to choosing an agency with the expertise aligned with the needs of the assignment or project. And, effective onboarding is essential to getting the relationship off to the best possible start. Good luck with your agency search! CommunicationsMatch and RFP Associates are standing by to help you every step of the way. CommunicationsMatch is a matching search engine and resource that helps companies find, shortlist and hire communications agency and consultants by industry and communications expertise, location and size. The site has 5,000 agency and consultant profiles in areas including: crisis communications, public relations, internal communications, government affairs, investor relations, content marketing, social media, SEO, website development, photography and video. In partnership with RFP Associates, CommunicationsMatch offers a range of search resources including online RFQ & RFP tools, search consulting services and an agency search resource center designed to help companies save time and money and improve search outcomes. CommunicationsMatch offers a range of additional services including agency promotion and crisis communications research tools. RFP Associates is a communications agency search firm that improves the method of identifying, evaluating and hiring an agency through its thorough search and selection methodology. RFP Associates clients are the hiring entities. For them, RFP Associates finds qualified candidate agencies of any size and specialty across the U.S. or abroad to respond to a comprehensive request for proposal (RFP) process. After reviews and interviews the final choice provides certainty for a long-term client-agency relationship.